Today’s message is especially dedicated to the great Nick Deeb, in the US Army. 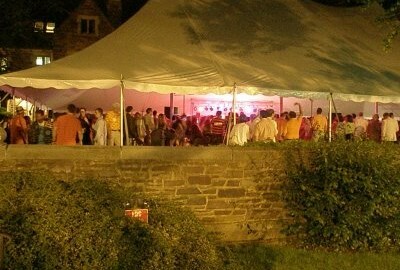 This weekend was Reunions weekend at Princeton University. This event is not your typical college reunion. Instead of every 5, 10, 25 years, Princetonians have one every year. This year marked the 150th anniversary of the first class-based reunion in Princeton’s history from 1859 (Class of 1856). Many people think of “reunions” as one big party. 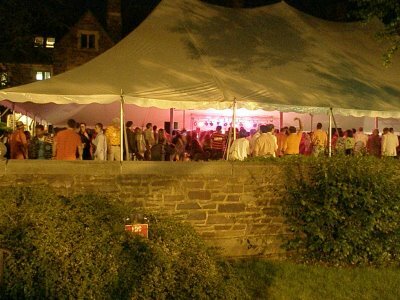 With 15 huge tents spread out all over campus, each representing five graduating classes. Every tent has their own band. It was definitely the biggest party I’ve ever attended, with about 20,000 alum and over 20,000 guests and hundreds of local high schoolers that sneak in (a wristband is needed for admittance). We live in such a microwave society that we are constantly looking to what we’re doing next. Speeding up so we can get to the next red light. Looking towards the weekend, the end of the school year, or our next vacation. We want everything, including success, at light speed. It is very important to set goals, and work towards them, but you need to enjoy the journey. Take moments every day to celebrate life. That’s meditation. Take moments to enjoy playing your sport or the education you are getting. Celebrate the relationships in your life. Every morning I wake up, meditate, and workout. I always start with jumping rope outside and while I’m doing that, I focus on everything around me. Everything in my life, big and small. I appreciate it all. It sets the tone for my day. Remember, people don’t sing to get to the end of the song. They sing because they enjoy the process of singing. Don’t play a tennis match to get the trophy or a ranking. Play for the enjoyment of it. 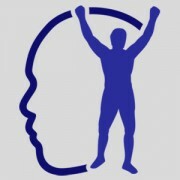 The enjoyment of pushing yourself. The enjoyment of getting fit. The enjoyment of constant improvement.